As a homeowner, you may want a carport, but you know it’ll just add one more item to the “honey-do” maintenance list. You’ve already got your hands full with the lawn, landscape, garage, and more, so why would you add a metal carport into the mix? At Wholesale Direct Carports, we believe that if you’re looking to store your vehicle beneath a cover without the expense of a metal barn or garage, a custom metal carport is a great option. Not only do you gain the advantage of overhead protection for your vehicles, but you also create more space to store other belongings and equipment as you see fit. 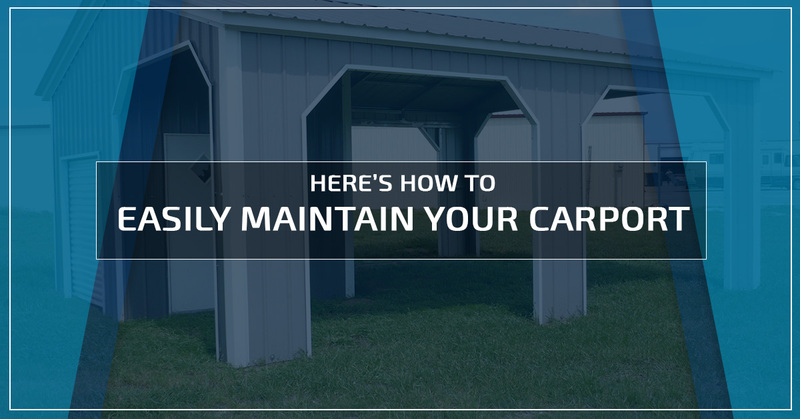 In this article, we want to share how you can easily maintain your carport so that it’s not a burden on your weekend chores. Once you have your carport installed, you can now use it to store your vehicle, bicycles, equipment and more. For most, they opt-in for a carport because it’s easily built, lasts a long time, and stands as a durable structure. You may use your carport differently. Nonetheless, all carport owners have something in common. They need to maintain their carports. While you now have an overhead cover for your vehicle, belongings, and more, keeping the space “inside” your carport clean is paramount. Fungi and microorganisms exist outside, and a carport is not covered. Allowing your carport to become cluttered just puts your belongings at risk to quick deterioration, mold, and other undesirable effects. So, keeping your carport clean and organized is ideal. Consider determining the one or two ways you will use your carport so that you can manage the space better. As a carport owner, you will want to give your carport an honest check for damages or potential repairs at least twice a year. While a metal carport is a reliable, durable, you still want to keep up with its structural integrity. To catch an issue before it becomes a problem is the best case scenario. When you see a potential issue arise with your carport, it’s best to take care of it immediately. You can either DIY fix the problem, or you can hire a professional in your area to come out and take a look. If you allow these issues to last longer than they take to fix them, you put your carport at risk for more damage, which will cost you more in the long run. Do you live in a wet region? Do you get a lot of rain? It can be advantageous to enclose and insulate your carport to fend off rust and other water related damages. For most, an enclosed carport serves the same purpose as a detached garage or metal barn. It allows you to protect your vehicle and other belongings until you need to use them again. Now that you understand how to maintain your carport against rust and water damage, it’s time to take it one step further. Take a look around your carport and see if you notice any existing water puddles or pools. As these puddles or pools of water grow, they can eventually affect your carport. Do your best to direct water away from your carport to better protect long term structural integrity. You may be considering buying a detached garage to fit your needs. While this is a viable option, have you considered a custom metal carport yet? Now that you know how to maintain a carport, it’s time you buy one. 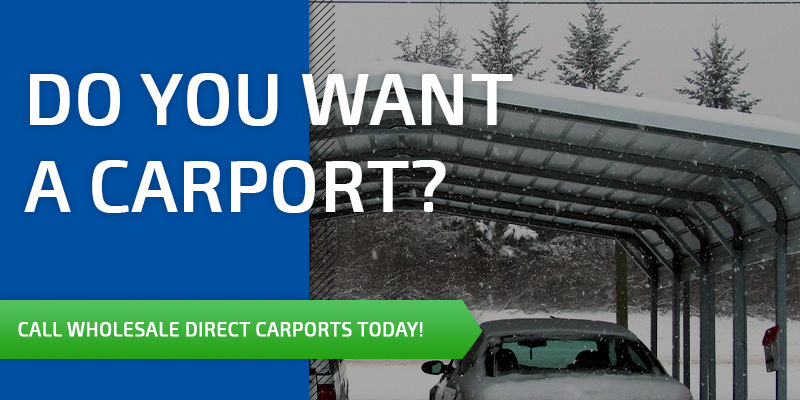 Give Wholesale Direct Carports a call today!